An Australian scientist says that he has succeeded in mastering one of mankind's deadliest enemies: invading toads which sweat toxic hallucinogenic drugs. 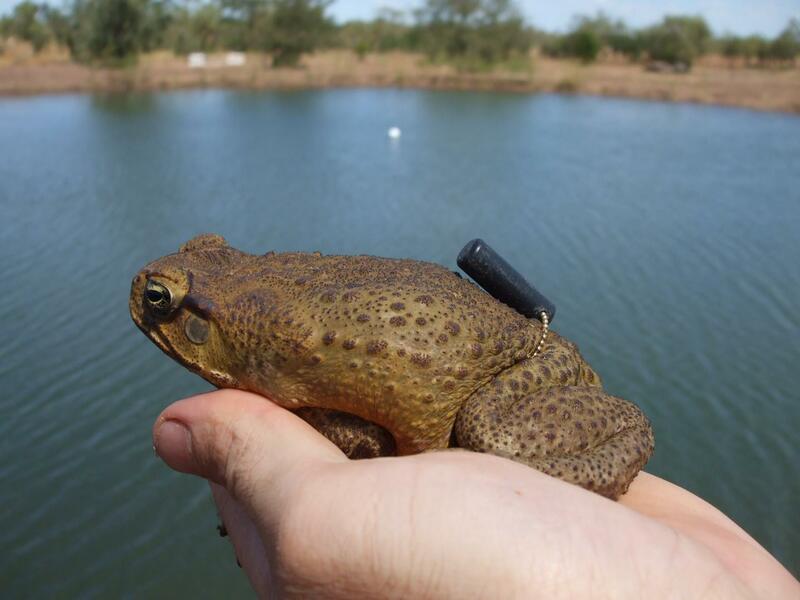 "This is the first study to demonstrate long-term control of cane toads," says Professor Mike Letnic of New South Wales uni. The cane toad invaders are a deadly scourge indeed. Their toxic, hallucinogenic sweat makes them a fatal meal for various Australian predators and the drug-perspiring amphibians are prone to gobbling up the local dung beetles, which are valued down under for clearing up cowshit and so keeping the flies under control. But the slimy invaders have one weakness: they need a wet environment to survive. In the dry season, much of Australia would be deadly to them - if it weren't for farmers establishing dams full of water for livestock to drink. The crafty toads use these as refuges from the scorchio conditions. But Professor Letnic's having simply none of that. He says his new plan of toad-proof barriers around dams will settle the sweaty horrors. "The toads were still attracted to the water but they died en masse while attempting to settle at the fenced dams. Their numbers remained suppressed for a further year. By comparison, there were 10 to 100 times more toads living at the unfenced dams that were used as controls in the study," says the prof.
Apart from saving the dung beetle, the prof's efforts could also help prevent the damage to society caused by the irresponsible practice of toad licking, reportedly popular among the more time-rich Australian youngsters as an economical alternative to recreational drug use.